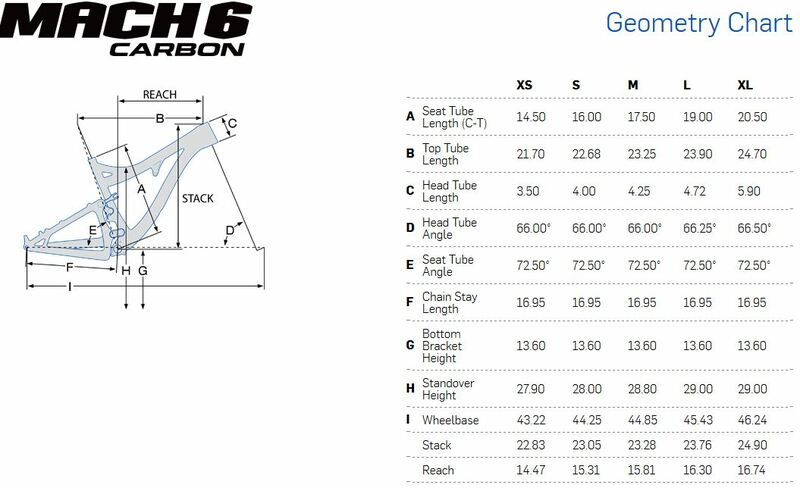 The Mach 6 Carbon is spec’d with the Fox Factory Kashima Float X shock with the EVOL air sleeve, tuned specifically for enduro and trail applications on the Mach 6 Carbon. The new Float X features updated tuning for better support and control while the EVOL air sleeve significantly reduces the force required to initiate travel, for the ultimate in small bump compliance and better bottom-out resistance. When combined with the ultra-low friction Kashima coating, this design offers an incredibly plush feel with a wide range of damping adjustments. 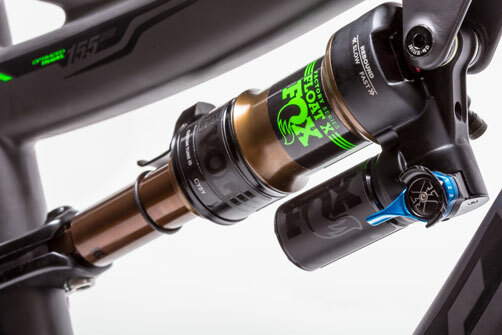 The Float X also offers three on-the-fly lever adjustments using the new Open, Medium and Firm options. While dw-link® is inherently efficient in every setting, the firm option is great for long fire road climbs or between stage transfers. 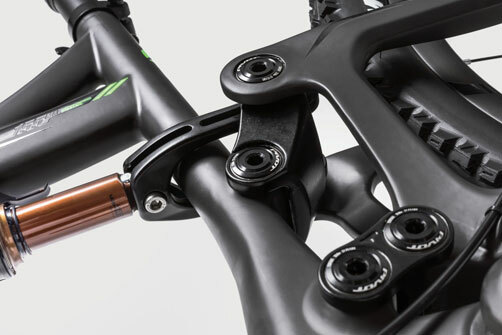 These shock features are direct complements to dw-link® suspension tuning and patented position-sensitive anti-squat, giving riders even better traction on steep climbs and over rough trail.